Hey folks! thanks for stopping by our jobs post, here I will post pictures and videos of jobs we have done around Fredericksburg, Stafford, Spotsylvania and King George Virginia. 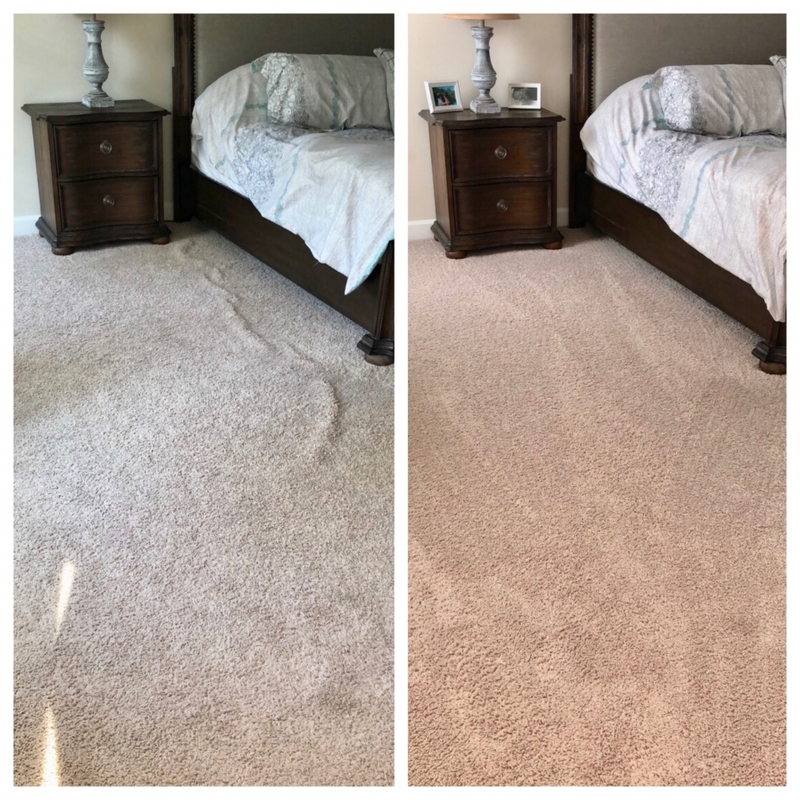 This was a carpet stretching job we recently did in Spotsylvania Virginia, the customer was so happy she sent us these before and after shots she took. Unfortunately carpet installers do a rush job and don’t use power stretchers to install to manufactures recommendations, causing these wrinkles to appear in a year or two. Very common. Very dirty rec room in Spotsylvania, cleaning up great! These renters left this basement room go to the dogs. 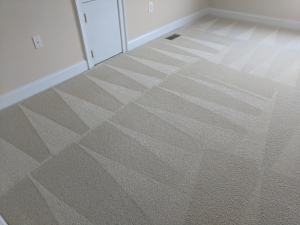 There are many factors that determine how well a carpet will clean up, such as the type of fiber the carpet is made of, the age of the carpet, cleaning habits of the carpet owner, what types of soil are in the carpet, what methods of professional cleaning was done in the past, and the list goes on. The purpose of this article is to discuss how different carpet types clean up differently and what types of carpet you may want to select for your home based on your lifestyle. Not only does the carpet itself play a role but the quality of the pad can really make a huge difference in how carpet wears over it’s life. Polypropylene Olefin is quite often used to make loop pile carpet also known as Berber, it does hold up very well in high traffic areas, and cleans fairly well. Berber is not the best choice if you have pets as the loops can get snagged by a dogs nail and run the entire length of the room. It is also famous for for pet stains to wick back after a cleaning. Wool is a very durable and cleanable fiber but is not very common due to the cost, wool can also be damaged if not cleaned correctly. Possibly a good choice for those with upscale homes and deep pockets. 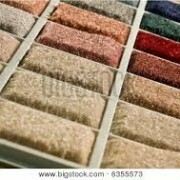 At this point nylon is the number one most common fiber found in carpet, however that may not be the case for long. 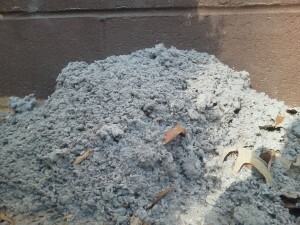 Nylon is used in cut pile carpet and found in a wide range of quality from the cheapest builders grade at $5 a yard up to $40 or more per yard for very dense stain protected versions. 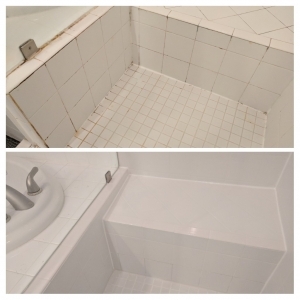 The cheap stuff actually cleans very well, but shows wear over time in traffic lanes and the stairs. The builder grade nylon is a great choice for rental units when expensive carpet just does not make sense, it is also used by builders because it is cheap and will look good the first year during their warranty period which is all they’re concerned with. If you’re a home owner planing on staying in your home and want a carpet that will last a long time, going with a good quality nylon carpet such as Dupont Stainmaster with upgraded padding will be the best choice. 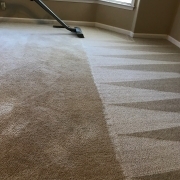 As a carpet cleaners in Fredericksburg Virginia, nylon is our favorite fiber to clean because it looks good, cleans well, and there is little risk involved with cleaning it. Out of all the carpet fibers nylon is the best choice in most cases in my honest opinion. Ok, now here is the bad news. Polyester is the whole reason I decided to write this post, it is the worst we see as far as cleaning ability and wear goes, and unfortunately it is the fastest growing fiber in production, soon to take over nylon and olefin. 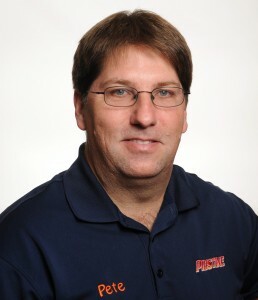 Shaw industries, the leading manufacturers of carpet recently attended a big carpet cleaning expo in Las Vegas, when they were asked if the quality of carpet in general was going up or down, he responded that it was unfortunately going down, and polyester was being increasingly manufactured because of costs. This scares me as a carpet cleaner because we’ve seen first hand how the traffic lanes look terribly worn and shaded in as little as a year or two, and it does not respond well to cleaning. We suggest to avoid this material and hopefully it will send them a message once word gets out, that we don’t want it! 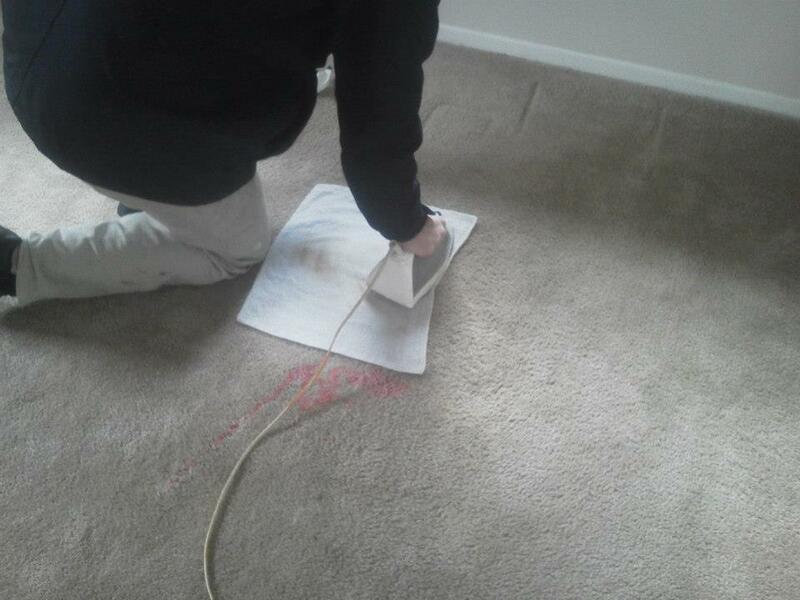 Removing stains and spots from carpet is not always an easy task, but with the right tools and spotters most will come out. 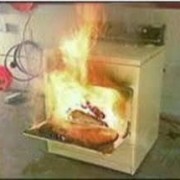 This is what separates a good cleaning company from…well… a not so good cleaning company. There are a few different reasons that I know of for sure as to why some companies don’t carry all the different spotters, and there are many. Many smaller companies struggle, trying to keep up with their equipment payments, mortgage payments ect.. so when money gets tight the first things to go are the very expensive spotters, pre-sprays and rinses. 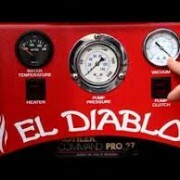 Having the right products on the truck makes all the difference. 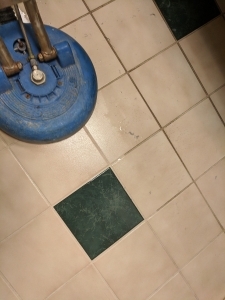 Another reason that some of the larger companies don’t utilize what’s available to them is because they don’t trust that there own technicians will use them right, putting the wrong chemical on the wrong stain or the wrong carpet type can make matters a whole lot worse, not to mention they can be dangerous if mishandled. The last reason I will mention is just poor organization, running out of stuff and forgetting to re-order. Now lets say you did your homework, checked reviews, and found a great carpet cleaner. Great! the hard part is done. 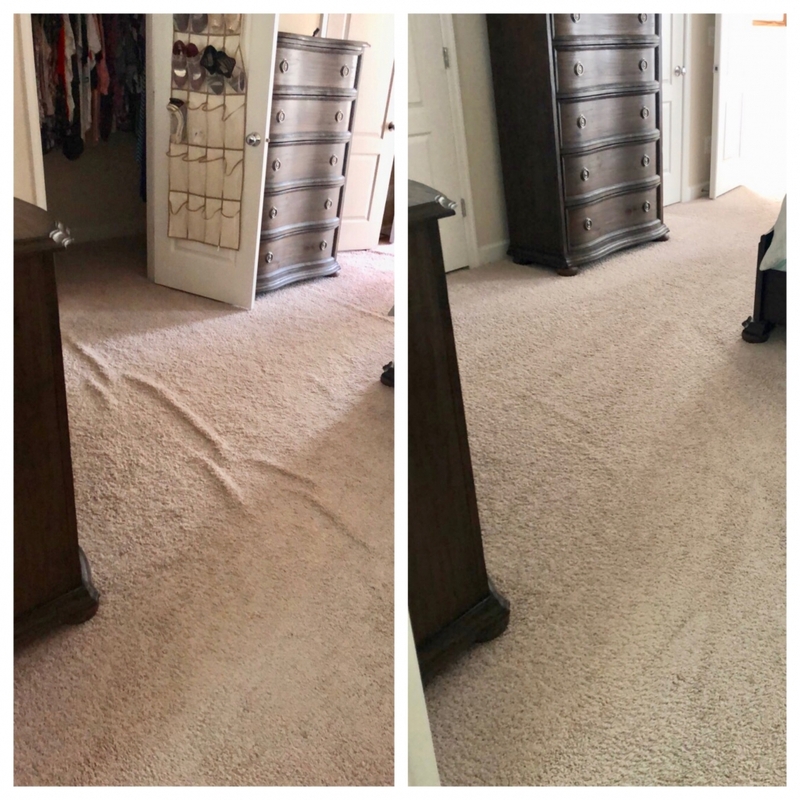 There are so many stains and spots that we as carpet cleaners run into throughout our work days, some are very easy to remove and some are not. Many stains we just look at and know just what to do… rust, red stains, grease, oil, wax to name a few. Where we struggle is the unknown, we are in a empty rental, tenants long gone, who knows what some of those spots are, they all look the same. 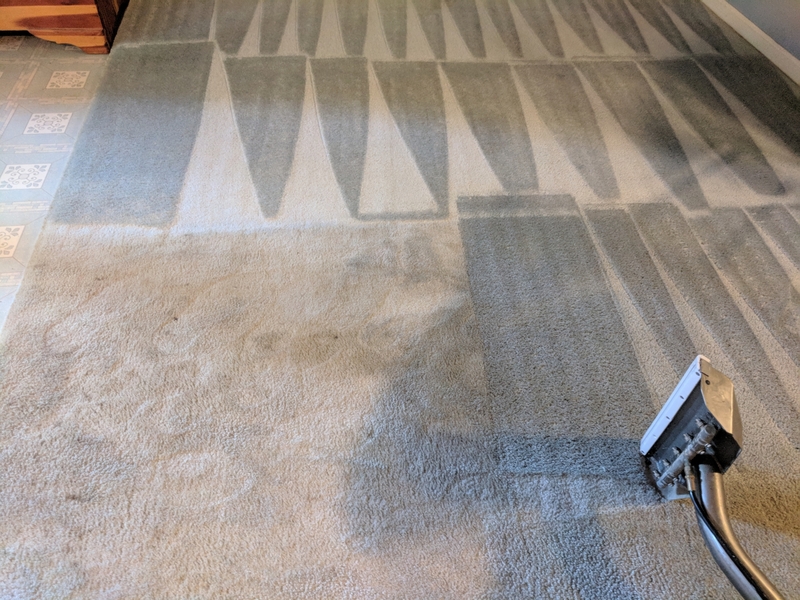 So, with that being said if you have a carpet cleaning scheduled always let the cleaner know what was spilled, if you know, it can be the difference of weather or not it will come out. 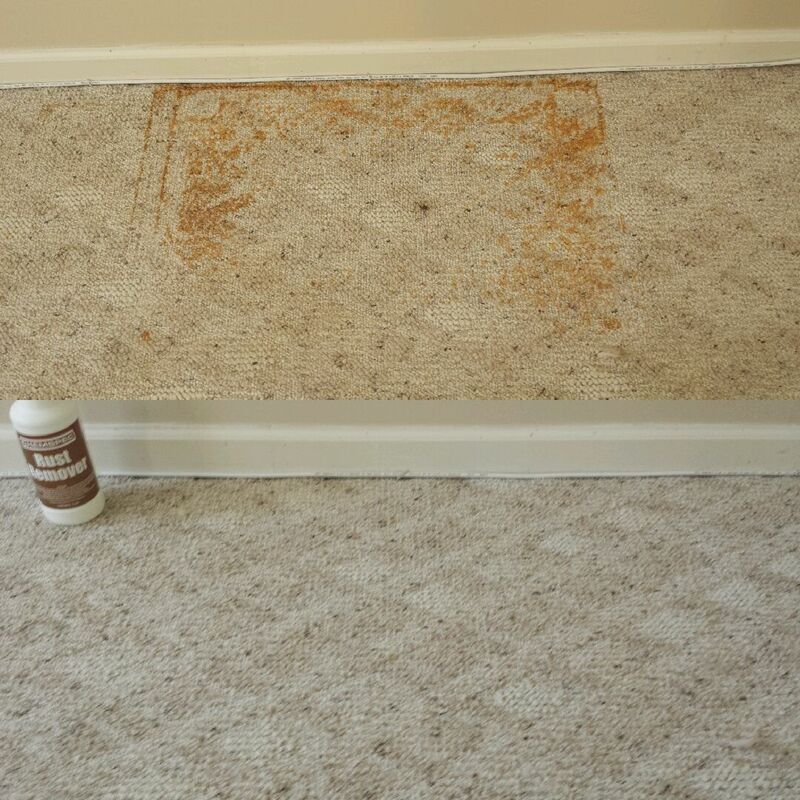 There are spotters and chemicals made specifically for almost every different stain and using the right one will do the trick where as using the wrong one can likely set a stain in worse or damage the carpet fibers. 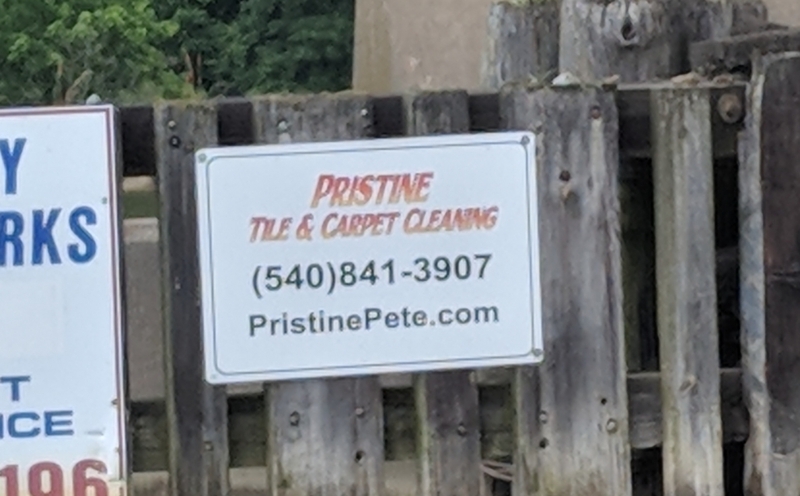 My carpet cleaning company here in Fredericksburg Virginia maintains an inventory of spotters for almost any situation, to give us the absolute best shot of getting everything out. 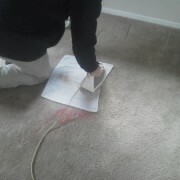 This picture shows a red stain being transferred to a white towel with an iron, but the trick here is a specialized 2 part red dye remover. It must be mixed at the time of use. 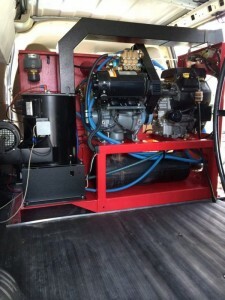 Like any industry, carpet cleaners come in many different levels of service and specialties. 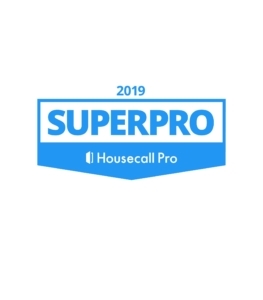 Some companies focus on just carpet cleaning while others may have strong specialties such as water damage restoration, fine rug cleaning, tile & grout cleaning, hardwood floor cleaning, furniture and upholstery and so forth. It is always a good idea to seek out the company that focuses on the specialty that you may be looking for to ensure the best possible out come.For example, my company has a strong focus on carpet cleaning but we are also the leader in tile & grout cleaning, and shower re-grouts in Fredericksburg, Stafford and Spotsylvania Virginia, however, we would not touch a water damage or hardwood floor job because we just are not properly set up for that. Like all industries, carpet cleaners come in a wide variety. Some are big national companies, some may have a few trucks, some are 1 truck owner operators, some are scammers and then there are the ones working out of their trunk with a rug doctor. All these different scenarios have good points and bad points. Lets take a closer look at each of these different scenarios and see how they differ. 1. The big national franchises such as Stanley Steamer, Chemdry, Coit – the services and pricing these companies offer can vary greatly from place to place. The high advertising budgets will increase the cost as well as pressured up sells. They also have a higher rate of employee turnover making this option a gamble…it can be a great experience or a horrible one. On the up side, these larger multi-truck operations are usually prepared to provide same day service. 2. 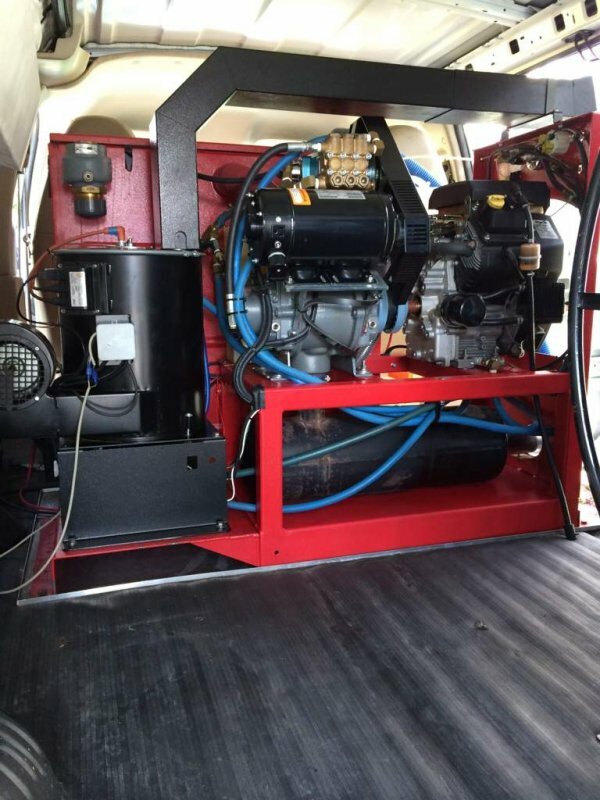 The local medium sized business – These companies are generally a good bet, they are not so big that they cannot keep a handle on their customer service, they often have a few trucks for quick service and they usually invest in good training for their techs. On the down side they do have some overhead such as shops, training and employee benefits making it a little more expensive, but you get what you pay for! 3. The Owner Operator – This is the category my company falls under, and is great choice for many reasons. Not many techs from larger companies will care enough to provide the level of service that the owner of a company will. 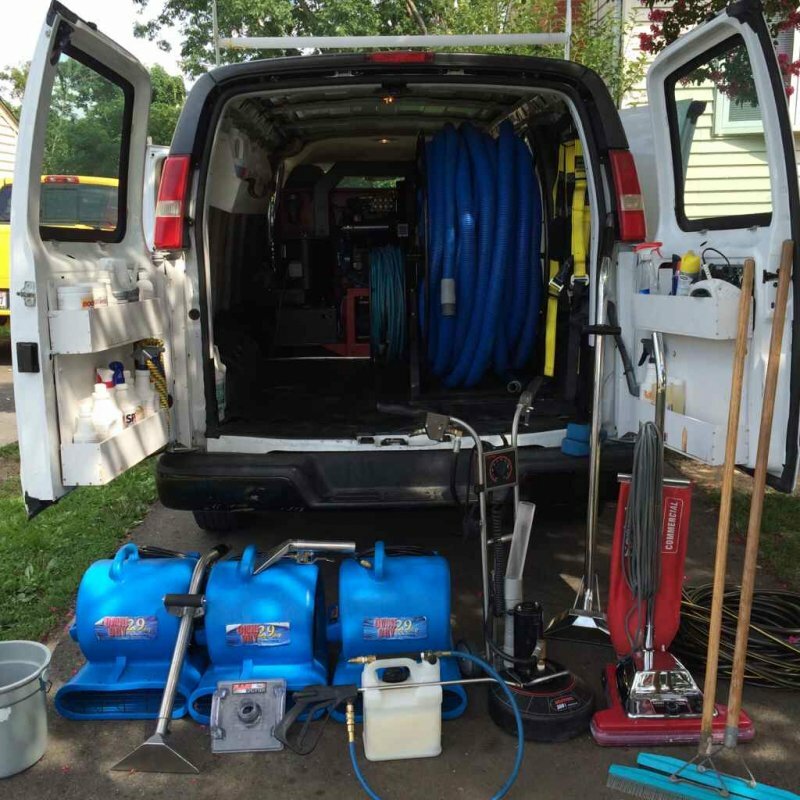 Many owner operators use superior truck mounted equipment and have far more cleaning experience than most techs just in it for the paycheck. Their overhead is generally lower making it affordable as well. The downside is they do become busy in the height of the season, and with only one truck it can be difficult to get an emergency appointment. The owner operator is the best option for the planners looking for the best of both worlds….quality & price. 4. The lowball hack – This is one to watch out for. Often they use inferior equipment that is no better than what anyone can rent in a grocery store, they most likely are uninsured and untrained, they cut corners in the products they use (if they use any) Be very wary of companies with unusually low prices, unlettered trucks, no websites or reviews, advertise with flyers on utility poles ect… Most of the people who use these guys are renters who don’t care, they just want any receipt they can turn into their landlord upon move out. 5. Scam companies – This is the one that bothers me the most! These are the companies that have no intention of cleaning your carpet for the advertised price. It is called bait and switch, they advertise cleaning at truly unbelievable low prices and then change them once in your home, for sometimes huge amounts. These folks are high pressure and often prey on the elderly…. in my book, they belong in jail! This bait and switch news clip will make you sick! It is always a good idea check out a companies online reputation before you hire them, make sure they have many good ratings not just one or two. Virginia Allergies…. carpet cleaning is one of the most important things you can do to remove these allergens from your home. When I moved to Fredericksburg Virginia in 1994 the second thing I noticed was that my allergies were much more severe. The first thing I noticed, was that the pizza & bagel quality was going to be an issue for me. There are things that can be done to ease the allergy situation, but the bread thing really has scared me, however, I’m beginning to heal thanks to the Wegman family from New York. 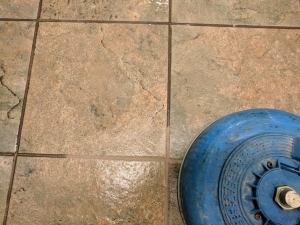 As much as I’d rather to write about food, my favorite pastime, I will move on to what I know best…Carpet Cleaning and Tile & Grout Cleaning! Many people suffer from allergies of all kinds… pet dander, shellfish, pollen, peanuts, phosphates ect… you name it, and someone is allergic to it. Thankfully the allergies I suffer from, and most others do too, can be controlled with some effort. I’m talking about the pollen, dander and dust! I sneezed just writing that. Removing these contaminates from the home is the best defense we have, but getting rid of the pets is not an option for most, defiantly not me. Here are some tips that can help reduce the suffering. Close the windows – I know, I know, the nice breeze blowing the spring air through the house that has been closed up all winter. But the pollen is coming into your house too, and settling right down on your floors and furniture. Find an allergy pill that works – there are many great products on the market today that control allergies with little side effects. Zyrtec works for me, but not my wife, find out what’s best for you, and take it daily. Vacuum, Vacuum, and then Vacuum some more – A good hepa filter vacuum will really help catch the allergens, if your vacuum is just blowing the fine stuff out the back, what good is it? 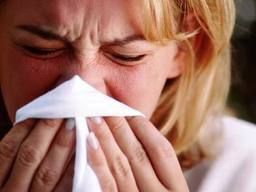 you need a hepa if you have allergies! *note: as stated in another blog, your carpets will last years longer with lots of regular vacuuming. Change the air filters – make sure you keep those furnace filters changed, we do ours every 3 months with the higher merv rating. Tip, make sure your filter is installed in the right airflow direction, and use a sharpie to mark the date on the filter. 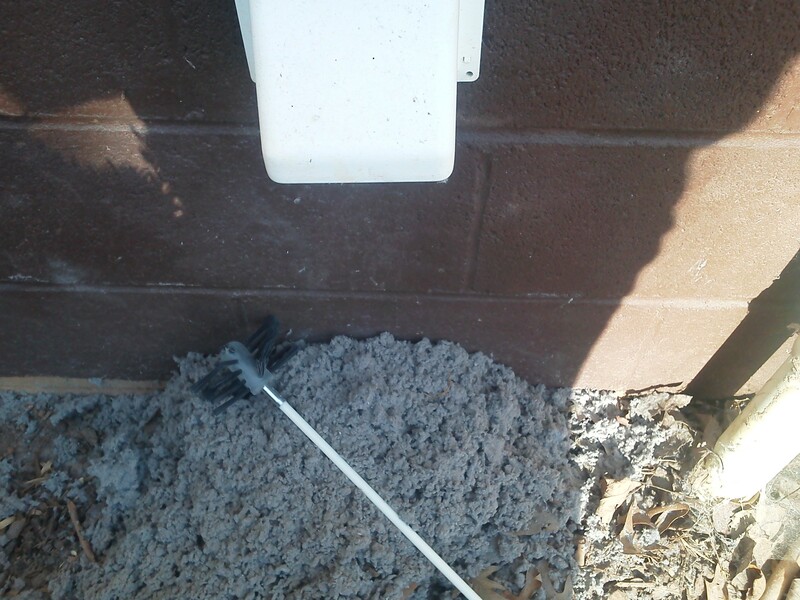 Dryer vent – It’s very important to make sure your dryer vent is free of lint, for more reasons to clean the dryer vent, visit our dryer vent blog. 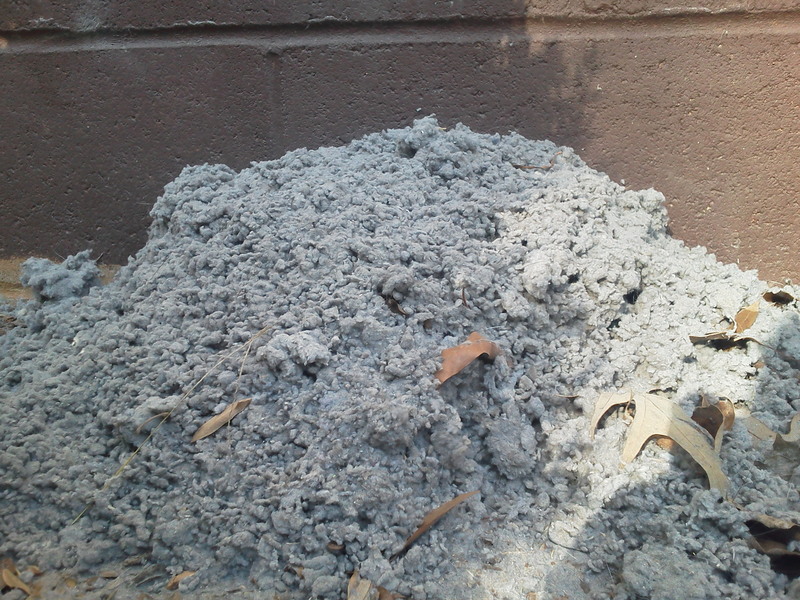 If the dryer vent is not fully secured to the back of the dryer excess dust can leak out, a lot of dust! 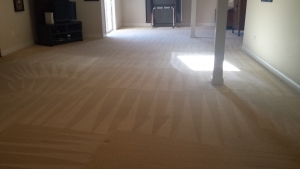 Professional Carpet Cleaning – You knew it was coming! 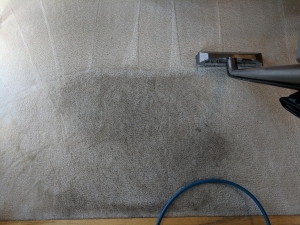 That’s right, a really good deep professional carpet cleaning can free your carpets of all that dander, pollen, dead skin, pet hair and pet oils among other things. Also consider having your furniture, and mattresses cleaned. 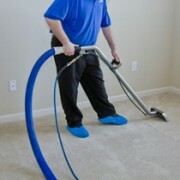 I have had customers contact me for carpet cleaning, who are allergic to phosphates. Phosphates are found in many cleaning agents such as laundry soap and the carpet cleaning pre-sprays the carpet cleaners use. If you are allergic to phosphates ( and you most likely know this) there is good news… there are special cleaners available to us carpet cleaners that do not contain phosphates. 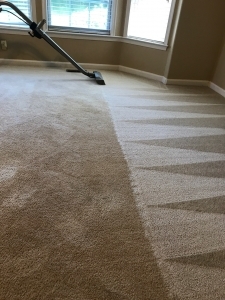 Why clean the carpets in the spring? 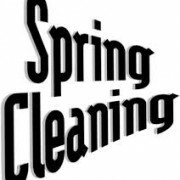 Spring is knocking on our doors, which means it’s time to get down to some serious cleaning. Although we had a relatively mild winter, the grit that makes it’s way into your home in these colder months is plentiful. In the warmer months people work on the outsides of their homes more often, which usually results in sweeping or blowing off the walkways, patios and decks. This maintenance that is part of the weekly yard work helps remove that soil before it enters the home. However, in the winter, that is not the case and the soil easily finds it’s way to the floors of your home. If not removed in a timely fashion it could cause scratching of the surface. Why am I getting traffic lanes in my carpet? 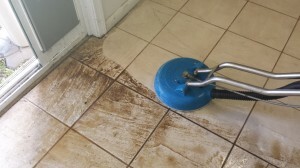 It doesn’t take a professional carpet cleaner to tell you that the sand and grit from outside can damage your wood floors or natural stone floors, but what many people don’t know is that these elements are more likely to cause scratching or “shading” to the carpet. The abrasive grit gets stuck deep into the carpet fibers and when walked on continuously it will give the carpet a worn look. 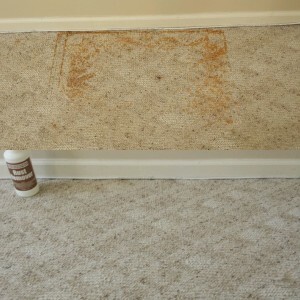 By the time you notice the uneven wearing of the carpet, the irreversible damage has already been done. The best defense against shading and premature wear of the carpet is lots of regular dry vacuuming. Because vacuuming carpet is not the most exciting of tasks, it often gets rushed, leaving behind soil. I know this is true because when I replaced my vacuum cleaner, the newer model had a built in light indicator that would let you know when it stopped picking up soil. Red light, still picking up, green light good to move on. Now here is the amazing part, my wife always vacuumed the house on a regular basis, but when she tried the new vacuum the red light would not go out, I thought it was broken! She continued to go over the same spot until finally the light went green. There was a lot of soil that was being left by our old vacuum, which was a good named brand. After the good, long initial vacuum it got easier to get the light to turn green. I can’t end this blog without telling you how important it is to get out the crevice tool and get the corners and edges of your wall to wall carpet. This is the most overlooked part of vacuuming, in time, a black ring called filtration soil will form around the perimeter of the room. Once this sets in it is super difficult to remove this electrostaticly charged, ultra fine soil. 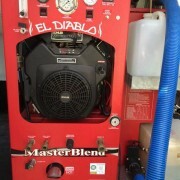 Even the best vacuums and home steamers can’t compare to the powerful equipment the professionals use. In order to remove odors, pet oils, dander and other contaminants from your carpet it’s advisable to have the carpets cleaned by a professional once a year. Steam cleaning, also known as hot water extraction is the preferred method of cleaning according to Shaw Industries, the leading carpet manufacturer. 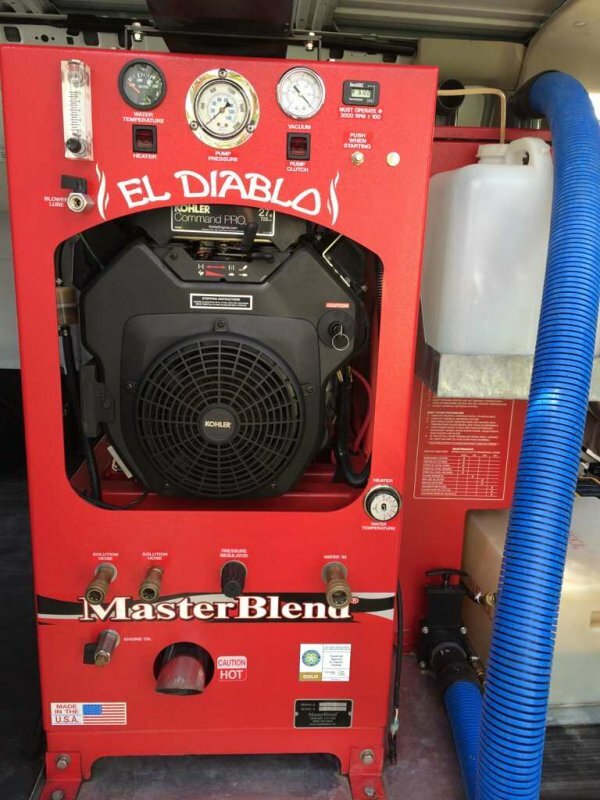 Powerful vacuum, high heat and professional cleaning agents will get the job done.